Fall. The season for scarves, bon fires and boots but, for Dave and I, a lot of traveling and change! I recently told Dave that we are getting a great deal on fall weather. We will be in the US for the best month of fall, October, and then when it starts to get cold we will be in Asia right back in our favorite season, summer. I'm joining in today with Kiki for The Cirlce Linkup where we are talking all about our 'fall favorites'. Fall this go around for me isn't so much about favorites but more about new sights and places. (Did you like how that rhymed? ha!) Dave and I will be traveling a lot over the next two months. So often when I travel I forget to spend time in The Word, time in prayer and I neglect to grow and learn. To avoid that I created a travel goal list. I know a 'list' sounds lame while traveling but I really wanted to stay focused and make the most of the time during this fall season. Today Dave and I start our month long trip and we are headed off for Topeka, KS! I would give you a complete mini itinerary of where we are going but to be honest, I don't know. See, Dave is great at planning US trips and I'm good at planning Asia trips. So, he planned this one and I'm along for the ride. I do know we will hit these places: St. Louis, Ohio, Niagara Falls, Boston, the New England States, NYC, Washington DC and then all the way over to Idaho. I'm excited about the various sights but I'm more excited to spend a lot of quality time with Dave, with our family and with our friends. With this linkup I wanted to answer some of the fun questions and then share my bucket list! Favorite fall fashion/clothing item (what you're looking forward to wearing). Let's be real now! Scarves! Scarves! Scarves! I'm a scarfaholic. I especially love them during traveling because you can wear the same outfit 3 days in a row every now and then and change the whole look with a new scarf! I also am looking forward to wearing boots! So, yes 1 pair of boots and 3-4 scarves will be in my backpack. And I do say backpack because Dave and I are driving and I'm determined to personally only take 1 backpack, 1 computer bag and my camera bag. We will have all of our camping gear to haul and our good friend Ryan is coming to meet up with us for a week so I'm trying to pack minimal and smart! Wish me luck peeps! Ok - Let's talk about this one. I really love cooking. I also love cooking during camping but I like to take my time, sit around, let the food really slow cook, etc. and this trip to New England doesn't fit my 'camping / cooking criteria' and that is ok. However, I am really looking forward to being in Idaho with my sister. See, whenever we cook up something fun we send food pictures to each other of what we have made. We have been compiling a list of things we want to cook together and I'm really looking forward to cooking and baking with her. Halloween candy or Pumpkin Spice Latte? Get ready ... I don't like halloween candy or PSL. I guess I'm in my own weird category but we didn't have Halloween in Brazil where I grew up and I can't even stand the smell of a PSL... gasp! I'm not really a big candy eater anyways. Does the crisp fresh air count a scent? If so, that would be mine. I'm hoping the weather in New England turns the trees to beautiful golden, yellow and red colors for us! I think it will be really pretty and I'm looking forward to being outside, away from technology and busy life. Something on your fall bucket list! Bible Memorization: I am going to memorize a passage but don't have one picked out yet. Any suggestions? Journal: Ok! I have a journal that I want to write 1-2 sentences in every day starting now through our year in Burma. I'm hoping I stick with it. exercise: We will be doing a lot of hiking but I want to do a few quick workouts on my own. I have a Pinterest board full of 'on the road' workouts that I can do anywhere with zero equipment. Learn: by reading (I have 2 missionary books and 3-4 audio books for this trip) || by intentionally taking the time to learn the history of the places we will be visiting. Share Christ: This is out of my normal traveling comfort zone but I put on the list to share Christ with someone. I've been convicted because so often I travel for myself. Missions shouldn't start with a trip to Burma it should be every day on every trip. So, I'm praying on this trip God allows me to share Christ with people. Bless: those we come into contact with: our family, our friends and strangers || send postcards to people. Social Media: Less of it! Seriously. We get so. sucked. in. to social media. Ok, I get sucked in. I want to be intentional about setting my phone and computer down and just 'being' and enjoying my time with The Lord, with Dave and with who God brings us into contact with on this trip. That's it! I know, it's a big list, right? But I'm looking forward to it. 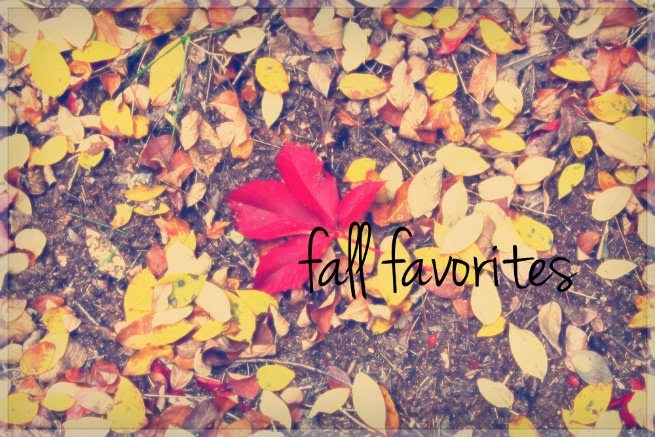 What are you most looking forward to about this fall? What do you think about making lists on vacation? the crisp air definitely counts as a scent!!! what a fun bucket list :) love it! A long time ago (back in high school, I think) I memorized Psalm 27, and it's come back a few times just when I needed it. If you don't know that one, I might suggest memorizing it! My favorite memorized Scripture is Isaiah 53. I had to learn it in Bible college and boy has it stuck with me and such a profound prophesy of Jesus. Book I now require anyone going on a mission trip with me and Jeff now is a devotional called "Before You Go". Have a safe, wonderful time traveling with Dave and seeing your family. Jeff and I will see you on the other side of the world! I don't like anything flavored in my drinks... Ha! Just plain coffee with milk for me! I'm glad you think it counts as a scent too. There's something so wonderful about it. I read it and it is really good. Thanks for the suggestion. How much of it can you still quote? The other side of the world! Isn't that so crazy and awesome?! That is a really great chapter. I'll have to look up that book. It sounds interesting. How often do you guys take mission trips? Girl! You join right on in the scarfaholic club. They are so fun. What hot drinks do you like? I know several people who aren't coffee fans at all. I wish I liked plain coffee but I always have to add in some sugar. :) lately I've been adding heavy whipping cream to my coffee. It's sooooo good. I seriously LOVE this! So great! I love love love all your goals especially since I've been thinking about my own fall goals this week. When I was a sophomore in college I memorized the book of Colossians and it was great because I started seeing the themes of all of Paul's letters in the New Testament which I thought was cool. I like the idea of memorizing any chapter in the NT , I think I might try to do something in Romans next! A lot of your goals are really inspiring and may make it onto my own list (especially the last three! What a great idea as simple as sending people post cards) What books are on your list?? So excited to read about all of your adventures! I'm also really loving your entire fall bucket list. SO many great things in one list! i LOVE that you put your fall goals on the list! That is awesome! YES to less social media! Out of curiosity, which missionary books are you reading? I love reading books about missionaries! Hope journaling daily happens! I used a journal to write down daily blessings in 2014 and it has helped me keep track of beautiful blessings as well as remind me of God's faithfulness. Glad I found you through The Circle's link-up! What a great list! Less social media is a great idea. We have implemented social media free Sunday in our house. You should set some fall goals. I thin it is good to have things to strive for. Colossians! That is awesome that you memorized the whole book. I memorized Colossians 3 this past spring and it was really good. Books on my list! Well I have 3 biographies on missionaries. I'm currently reading a book on Lottie Moon who was a missionary to China. I also am listening to an audio book called 'Seeking Allah Finding Jesus'. It's soooo good! I highly recommend it. Thanks, Kiki! The fresh fall air really is great. I'm so glad to finally be joining in on the fun linkup. I've been reading biographies on missionaries. They are short reads but so good. There is a series of books called "Christian Heroes: Then & Now". They have a bunch of biographies written on missionaries. I'm currently reading about Lottie Moon who was a missionary to China. I'm also listening to an audio book called 'Seeking Allah, Finding Jesus'. I love that you are journaling daily blessings. I think that is really neat. Thanks for stopping by! It has been fun to meet some new bloggers through this linkup. I like the social media free Sunday idea! Sometimes it is nice to set everything aside and just be still. That's awesome! I don't think I can quote everything I once had memorized but I should probably refresh on things more. Less Social Media - yes please!!! I have a hard time balancing reading blogs. I want to read ALL of them - yet it's so time consuming too! HAPPY Fall friend!!! I read a book on Lottie Moon too! Gladys Alward, Elisabeth Elliot ("These Strange Ashes"), Amy Carmichael, Jackie Pullinger ("Chasing the Dragon"), Lydia Prince ("Appointment in Jerusalem"), and Katie Davis ("Kisses from Katie") are my favorites! I understand. I go through phases where I read blogs like crazy because I love it but then I need a break. Happy fall to you too :) I hope it is getting cooler in TX. That is so neat that your traveling. I can't wait to see what you packed in ONE backpack. Good luck with that. I don't think I have a fall favorite recipe since I live in Florida and it's hot or cold, not in between. PSL isn't for me either so don't feel bad. How awesome that you'll be able to see the leaves change. I have always wanted to see that. As for you bible memorization maybe you should remember one about traveling. You know to go along on your travel. I think your travel goals are awesome!! They sound alot like my everyday normal goals. I wish you the best of luck on fulfilling them. I just checked out seeking Allah finding Jesus. I'm soooo excited thanks for the recommendation! It looks great! I just wrote a post about what I packed! I will publish it probably tomorrow or Wednesday. That's ok that you don't have a favorite fall recipe. I can definitely understand not having one living in Florida. I lived in Pensacola for 2 years but I felt like they had seasons there. I never thought about memorizing something for travels. That is a good idea. I couldn't decide on a passage so for now I'm memorizing 1 Timothy 6:16-18 (I think). Those verses were repeated over and over in one of our devotionals so I thought it would be a good couple of verses to start out with. What are you memorizing right now? Yay. I can't wait to check out your packing post. My sister lives in the northern Florida and she sees snows once and awhile. Which is really cool. I live closer to Miami so hardly any cold weather comes here. Right now I am trying to focus on my relationship with God. 2012 was a really hard year for my spirituality and really shook up with relationship with him. After that I just stopped; no prayer, church, reading, nothing. Lately I have felt the need to make things right but I don't know how. If you have any advice, that'd really help! Cody - I've been on the road and am just now seeing this comment. I'm really glad you want to focus on your relationship with The Lord. I know some years with The Lord are harder than others and I have been there! I think I'd start off by just telling God where you are at. I've been reading about the prodigal son (Luke 15) and he came back to his father just as he was. He didn't clean himself up and try to be perfect. He came just as he was, asked for forgiveness and his Dad RAN when he saw him far off to greet him. God will take you right where you are. Just like the prodigal son we can go back, ask for forgiveness and start anew. I know it is a process and takes time. One of the biggest reasons I went to South Korea was to restore my relationship with God and He really did that for me, and still is doing that! Do you have a good church to attend? I'd also start reading the Bible. Even if it is 1 verse a day. The book of Proverbs, John and any of the Psalms are really great books to read to get back in the Word. I'll pray for you and I'll try and e-mail you soon and follow up more. I'm really happy that you want to get back on track! That says a lot right there and I know God has big things in store for you. I'm so glad to hear that I am not alone. I love what your wrote. It's very true about going to God where were are. When you wrote that, I remember another bible story that I think I relate more to, which is Gideon, the doubter. So I will probably start reading those verses and really study what that chapter has to say. I think my problem with God started because of my old church. I stopped going to any church and I would love to find another one but now I am kinda scared too. Oh thank you so much for writing to me and praying for me. It means alot. I'll send you an email so you can response. Your trip sounds like a BLAST! I bet you guys are having some serious fun together. That is a lot of states to visit in a few weeks. Have fun exploring. Hi Victoria! Two weeks later is just fine =) We are having a lot of fun and I'm glad we have been able to travel and see a lot of sights. It's been packed, exciting, tiring, fun and much more. Thanks for stopping by. I love The Circle linkup and the community through it. It sure is! We have been having a really fun time. I'm tired though so this morning I've been sitting and replying to blog comments instead of running around + it's raining. I'm still amazed by lottie Moon! She was awesome. I have heard wonderful thing about Kisses from Katie so I might have to download that for our trip. Have you started reading this yet? I still think about that book a lot! Yes!!! I finished it in like a little over a week, it was great!! It was truly eye opening- half the stuff he talked about I had no idea they even believed. I did like the theological discussion but I almost wish he had talked more about his personal experience once he converted. Have you ever heard of "I Dared To Call Him Father"? My mom has read it and it's about a woman who converted from Islam to Christianity and it sounds like her story is more about the personal trauma she went through once she converted. I've looked for it at the library and we don't have it so I may just buy it because that sounds like a good one to follow Seeking Allah. Now that I've read it, what did you like about it? ?